Cal-Flor Scratchcure repair pens are great for quick and easy touch-ups of scratches on laminate or wood flooring and furniture. These Gray colored pens come in shades that are buildable, meaning they start out light and more strokes brings darker color. If you draw outside the lines, you're in luck! These pens have a longer drying time so unwanted marks can be wiped away! 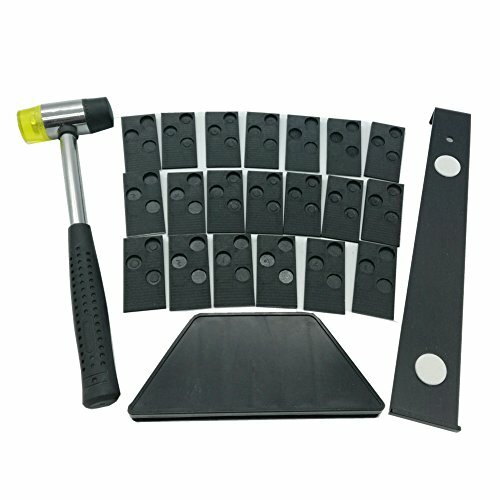 Scratchcure also features two different tip sizes, so no matter the size job, you'll have the right tool. Directions: clean area clear of dust and debris. Select the tip that will fit the damaged area the best. Lightly color area until color match is achieved. Tips & tricks: for lighter colors start with one coat at a time, wiping with dry cloth between applications. For darker colors multiple coats will be needed, buff color between coats with a dry cloth or towel to ensure even color saturation. Dabbing with the pen tip will darken areas even more. Non-toxic: great for toys and hobby projects! Multiple colors are available. Not sure what color to choose? Pick a lighter color, you can always build to a darker finish. Not the exact color? No problem! Different Scratchcure pens can be blended together to create any color. 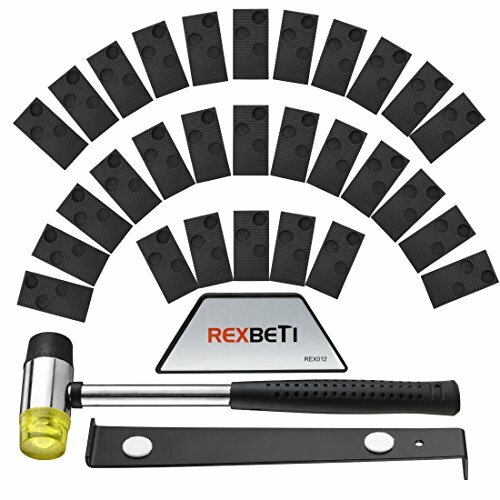 The REXBETI Laminate Flooring Kit contains all the tool you need, ideal for domestic and professional flooring installation. 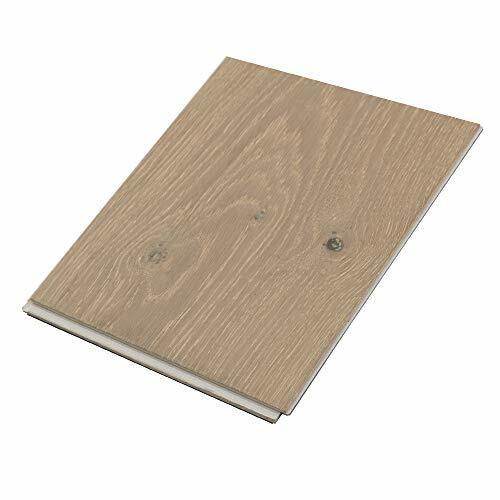 Do you want to spruce up your home, office or garage at a rock bottom price look no further than our Tivoli II plank collection. Choose any of our 8 styles of wood-look vinyl and just peel and stick to a flat and dry surface. In no time your room will be magically transformed! rich wood visuals with a fine lustrous finish makes the wood-finish Tivoli II indistinguishable from real wood! can be used in any room in your home such as kitchens, dining rooms, bedrooms, bathrooms, foyers and basements! 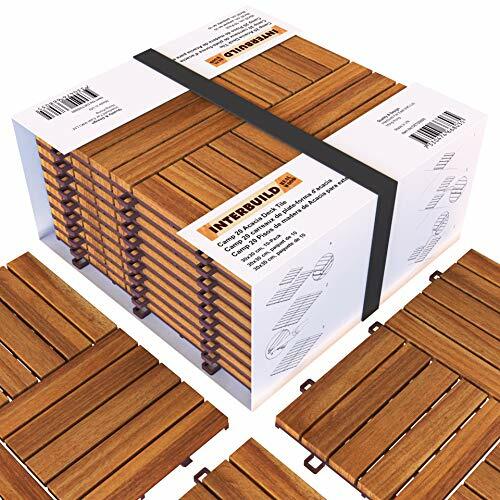 10 planks per box - 15 square feet Warning: this product contains chemicals known to the state of California to cause cancer, or birth defects or other reproductive harm. Cal-Flor Scratchcure repair pens are great for quick and easy touch-ups of scratches on laminate or wood flooring and furniture. These Walnut colored pens come in shades that are buildable, meaning they start out light and more strokes brings darker color. If you draw outside the lines, you're in luck! These pens have a longer drying time so unwanted marks can be wiped away! 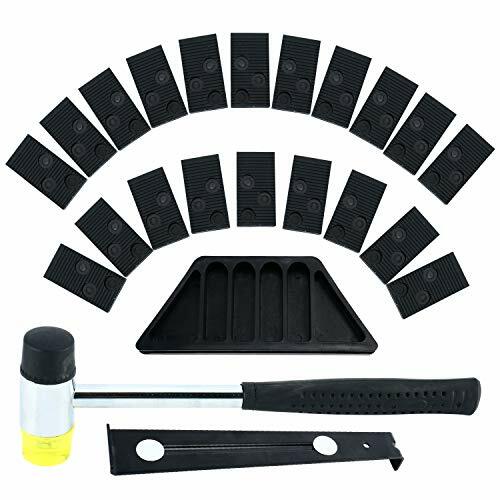 Scratchcure also features two different tip sizes, so no matter the size job, you'll have the right tool. Directions: clean area clear of dust and debris. Select the tip that will fit the damaged area the best. Lightly color area until color match is achieved. Tips & tricks: for lighter colors start with one coat at a time, wiping with dry cloth between applications. For darker colors multiple coats will be needed, buff color between coats with a dry cloth or towel to ensure even color saturation. Dabbing with the pen tip will darken areas even more. Non-toxic: great for toys and hobby projects! Multiple colors are available. Not sure what color to choose? Pick a lighter color, you can always build to a darker finish. Not the exact color? No problem! Different Scratchcure pens can be blended together to create any color. Laminate Flooring Kit contains all the essentials you needed. Easy to use - set comes with simple to follow instructions. 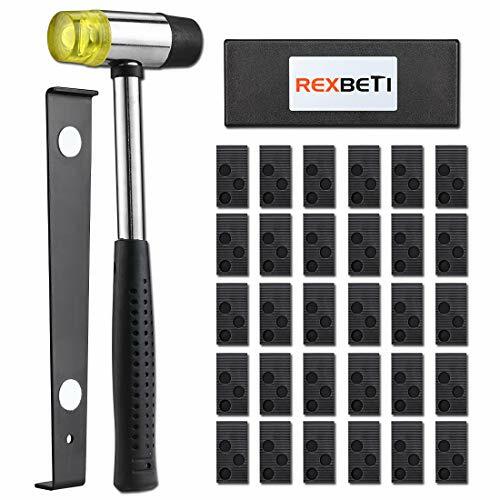 It can be used to strengthen floor and for solid wood compound floor installation. 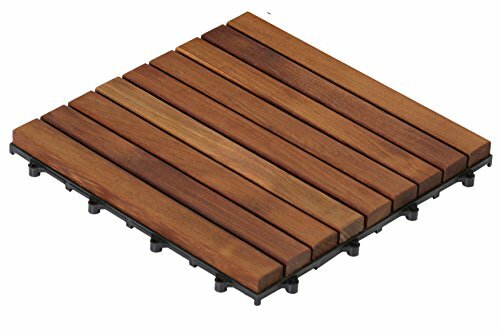 The Easy Click End Piece interlocking flooring tiles come in an oiled finish in a solid teak wood. This is for a set of 8 LOOP ENDS which would attach to the tile that ends with a pin. No glue or tools are required- just snap the end piece to frame two sides of an Easy Click tile. Can be used for indoor or outdoor settings. 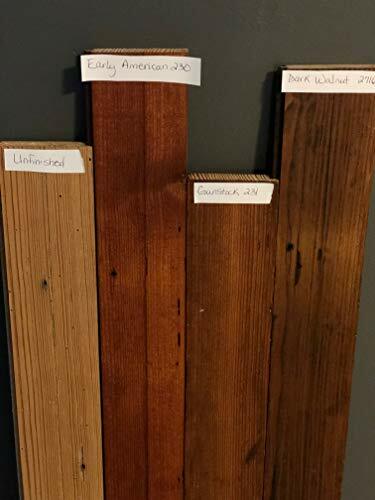 Perfect for an entryway, mudroom, deck, terrace, showers, bathrooms, or anywhere in between. The perfect portable dance floor to practice your dance moves and deliver the all important sound making music for any tap dancer. Your 3 x 3 SnapFloors dance floor is easy to assemble, no tools required. The beauty of luxury vinyl plank flooring isn't just in its visual appeal, but in the durability and longevity it provides homeowners as well. Our vinyl plank flooring was crafted to create a real wood look and texture without the high cost. You get the added bonus of being able to install our vinyl plank flooring in nearly every room of your home, including humidity-prone areas such as a kitchen, basement or bathroom. Non- formaldehyde & odorless construction safeguard your health better. 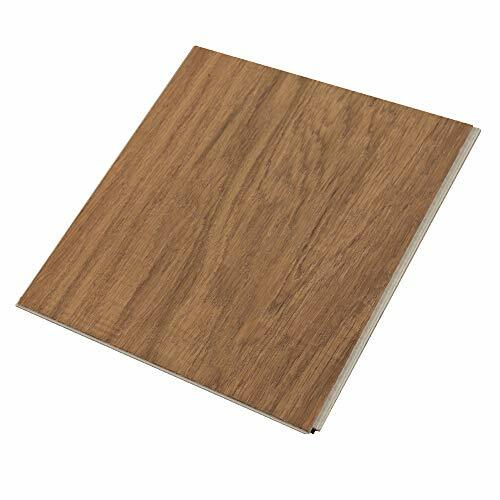 Product Dimension: 6" x 36"
PREMIUM MATERIALS, made of vinyl, our floor planks are waterproof, fire-resistant, damp-proof, wear-resistant and mold-resistant, ideal for living room, laundry room, kitchen, powder room etc. 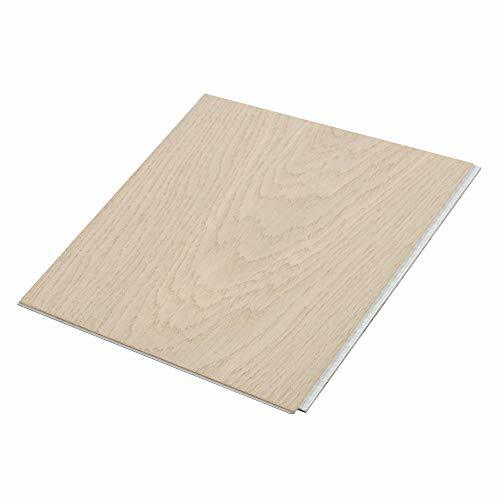 SGS APPROVED GLUED FOR SAFETY, odorless but heavy-duty glue allow these planks can be repeatedly installed and uninstalled within 3 minutes of initial installation while providing safety for you and your loved ones. CLASSICAL WOOD FLOOR PATTERN, comes in a modern and sophisticated grey with impressive dirt-resistant performance, showcasing your exceptional taste. SAFETY PRECAUTIONS FOR INSTALLATION, please make sure your subfloor is in good condition, dean, smooth, level, dry and free from rising damp, all waste and traces of paint removed, without cracks, degreased, completely dust-free and normally porous. 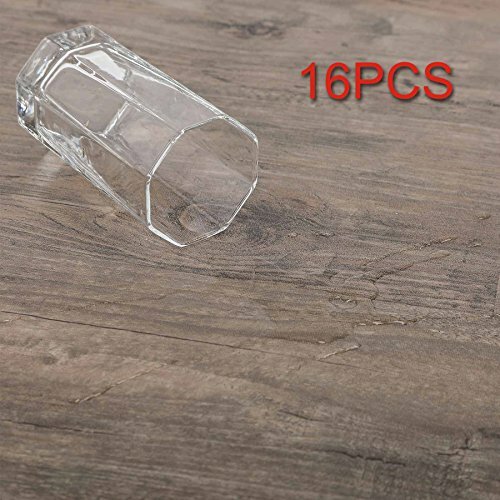 Product Size (single): 6" x 36"
PREMIUM QUALITY, made of premium vinyl, our floor planks are waterproof, fire-resistant, damp-proof, wear-resistant and mold-resistant, ideal for living room, laundry room, kitchen, powder room and more. 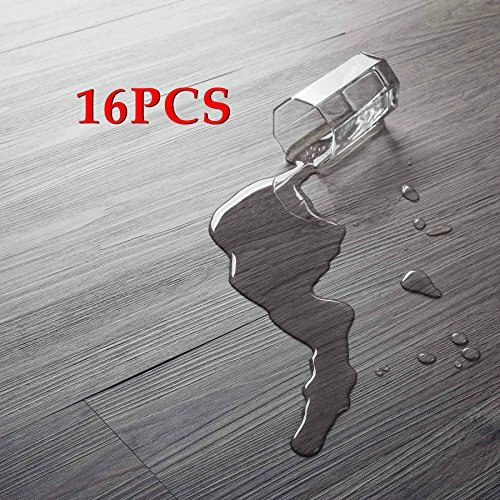 100% SAFE, with environmental-friendly 8628A hot melts on backside, our floor tiles can adhere to floor in just 3 minutes and keep sticking firmly even under high temperature, no formaldehyde contained. INSTANT ADHERENCE, thanks to high-intensity glues, our planks are removable within 3 minutes since installation, no worry for messy installation or warped edge. 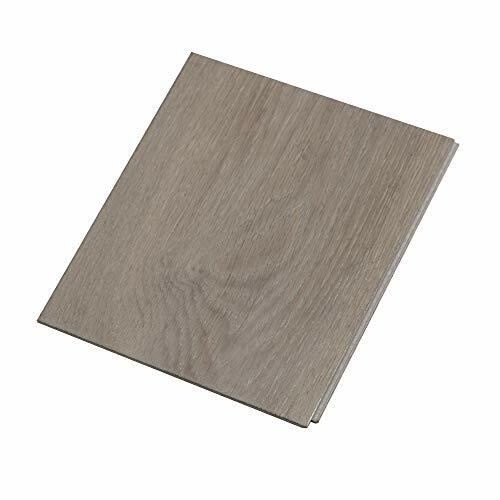 LARGE SPACE, each package contains sixteen 6 x 36 tiles and can cover 24 square foot in total; these planks can be tiled on all smooth and dry surfaces, wide application guaranteed. Clean: Use a mild soapy solution. Wipe dry with a clean dry cloth. Maintenance: With simple, regular maintenance your floor decking will last longer. Color changes, small cracks and a dry surface are signs that it is time to re-glaze. The floor decking can be cut if you need to fit it around a corner or a pole. Only recommended for outdoor use. 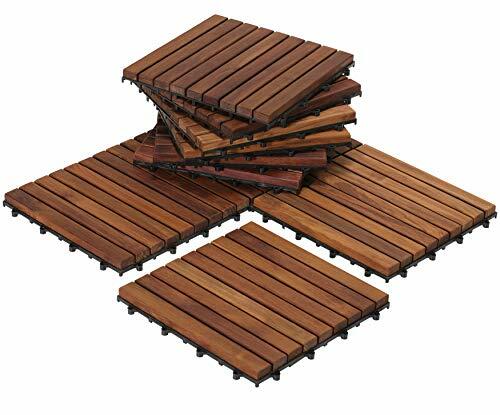 Includes: 9 pcs (12x12) floor decking for outdoor use. 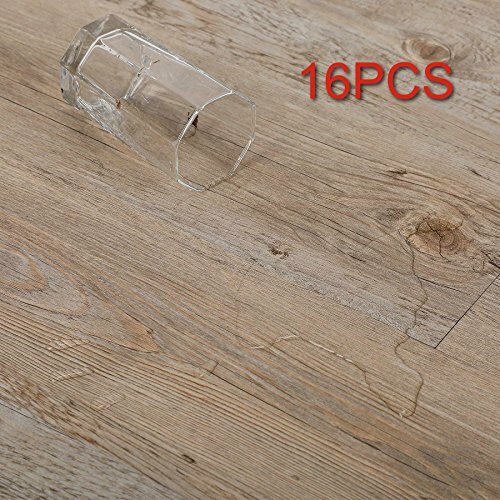 PERFECT FOR HOME & COMMERCIAL USE, these planks can be tiled on all smooth and dry surfaces, ideal for living rooms, balcony, laundry rooms, restaurants etc. Don't settle for inferior soft wood, this is Genuine Teak!!! Don't settle for cheap Acatia wood, this is Genuine Teak!!! Made of plantation grown acacia hardwood and oiled in a Golden Teak finish with our own eco-friendly and food safe ZERO % VOC Hardwax oil. Unique filigree design and proven construction with 20 short slats per tile and with click / interlocking function. Can be easily disassembled and clicked back again. The height is just 5/8' so fits easy under any terrace door. The plastic net construction assures that water easily can drain under the tiles. 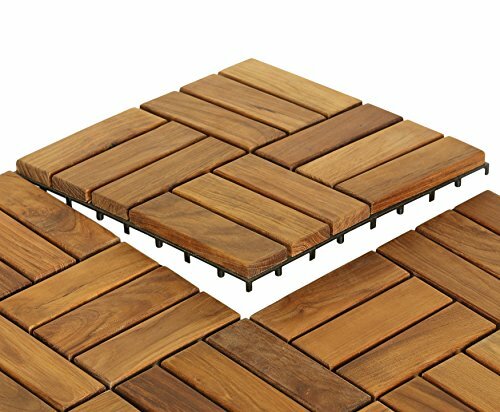 To get that cozy and warm feeling outdoors, our tiles are a must on every balcony, terrace, pool deck or patio. More than 10 million pcs sold! The furniture shown on pictures here with our tiles are our own unique designs as well and should be available on this site too. Warranty: We uniquely provide a 5 year warranty on our tiles, also on the plastic nets, which are made of PPCO2, the same material used for bumpers for cars , among other things. Maintenance: The tiles comes factory pre oiled and can be used immediately outdoors. Should you leave them outdoors over winter, we suggest you clean them before snowfall, let them dry in sunshine and then give them a coat of a good wood oil. Same in the spring, cleaning and oiling will make them look like new and you can enjoy them with that fresh look for many years to come. Should water smudge on the surface rather than staying on top as droplets, oil the tiles again. 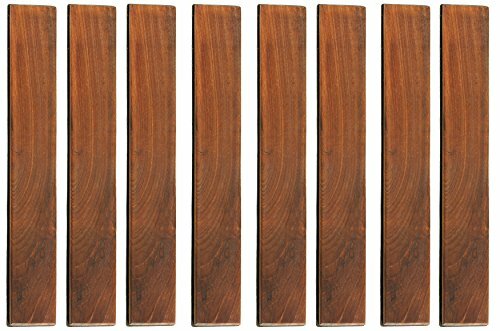 The Story: We long ago were producing mega quantities of a bathroom shelf in Acacia for IKEA and got a lot of short wood pieces as waste. We then thought of using that waste for a deck tile and this design was born. It took not long until we did not have enough waste and new material had to be used for the production. IKEA bought them from us at the time under the name SKOGHALL deck tiles. We delivered them to IKEA all over the World and should you have those, these tiles will click together. Brand: Interbuild | Manufacturer: Interbuild Holdings Ltd. 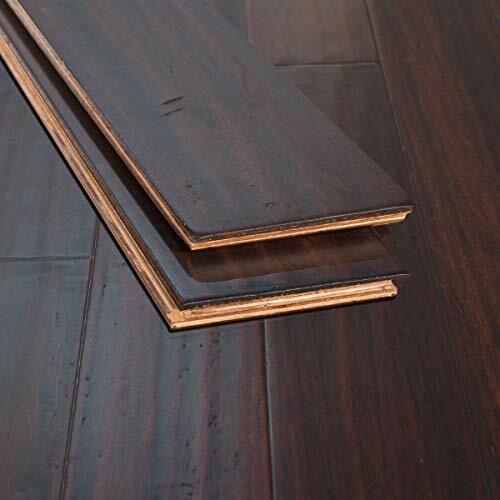 The XtraWide Java Handscraped engineered strand bamboo snap-together floor is our darkest extra-wide plank floor with deep, chocolatey hues and unique handscraping. Because it is engineered, it is perfect for basements, kitchens, and anywhere else your heart desires! Made from bamboo sourced from sustainably harvested forests, this product is easy on your mind in addition to your wallet. 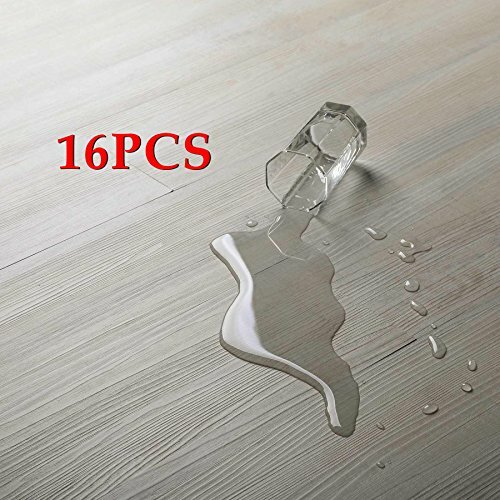 There is not use crying over spilt milk - or water - or soda because it is coated with our proprietary Accuseal finish system with several moisture barriers. Not only does it repel drinks, but it is resistant to high heels, pet claws, and anything else you can throw at it! Have peace of mind knowing that this is a floor that is built to last and looks awesome if we do say so! Janka Rated Over 5,000 for Durability! Strand Woven Bamboo Flooring is the Strongest Hardwood on the Market! 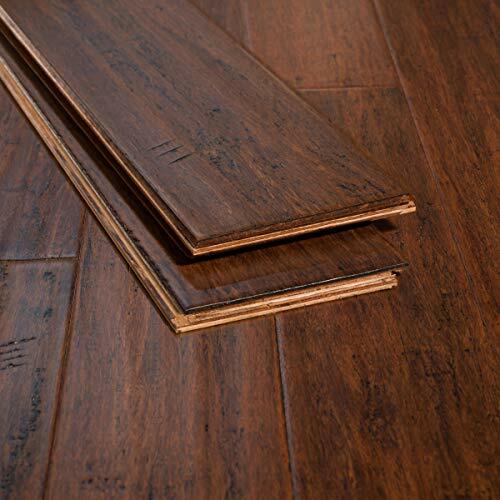 The Toasted Almond Antiqued engineered strand bamboo click-and-lock floor is now available in our extra-wide 7.5 inch plank for that super modern look. You will fall in love with this floor and its mellow handcraping and tasteful antiquing that creates and old world feel with a modern twist. Strand bamboo is known for its durability and longevity - which means you can enjoy your new floor for many years to come. Forget about paying for an installer - this floor has a simple snap-together design so that anyone can install it with easy. If you are considering a floor for your basement or home office, look no further! Because it is engineered with a eucalyptus multi-ply design, it is extremely stable in higher humidity locations. Tiger's eye tones blend among a fiery grain and highly varied hand-scraped planks for a dazzling and daring natural display. A robust spc spine made of limestone composite delivers added stability and a stronger locking system, making DIY installations go up to twice as fast. This ultra durable hardwood floor features AquaDefy technology, making it perfect even in high moisture environments like kitchens, bathrooms, and basements. Moderately hand-scraped planks glow with a sandstone taupe color and classic, feathered grain -- the perfect complement to any style. A robust rigid core spine made of limestone composite delivers added stability and a stronger locking system, making DIY installations go up to twice as fast. This ultra durable hardwood floor features AquaDefy technology, making it perfect even in high moisture environments like kitchens, bathrooms, and basements. This tongue and groove yellow pine wood flooring is reclaimed, planed and sanded. It is offered in several different stains and also unfinished. This wood flooring is a gorgeous addition to any home flooring need. It can also be used for an accent wall!